Joe Shaffer passed away peacefully on Tuesday, February 5, 2019. He is survived by his loving wife of 63 years, Kay (nee Mitzel), children Donna (Glenn), David (Sheryl) and Valerie (Brian), grandchildren Meaghan, Dane and Simon Shaffer (Brittany), Kyle (Tara) and Zachary Marshall and Miranda Scott (Jake), great-grandchildren Jace, Ciara and Maidie. He was predeceased by his son Gregory (in infancy), parents Michael and Julianna, and siblings Judy (Bill) Arsenault, Annie (Tony) Goetz, Katie (Henry) Eckes and Louis Shaffer. Joe was born in Macklin in 1931. He spent his early life in the Denzil/Reward area. He started working as a farm hand at the age of 16. He met his future wife Kay while both were working at the Wilkie Hospital. They were married in Revenue in 1955 and lived for a time in Wilkie. They moved to Saskatoon in 1957 where their children were born. Joseph worked for Safeway for many years in produce at various stores before retiring to work at St. Patrick’s Parish. After several years there, Joseph began working for Acadia Drive Funeral Home part time. After retirement Joe enjoyed going for coffee with friends and visiting his family. Joe and Kay moved to Villa Royale in 2011 and was in the care home there until 2016. Due to declining health he moved to Oliver Lodge in September 2018 and remained there until his passing. Memorial donations may be made to the Lung Association, Saskatchewan (1231 8th St. E., Saskatoon, SK S7H 0S5) or to a charity of the donor’s choice. The Vigil for Joe will be held at 7:00 p.m. on Thursday, February 7. The Mass of Christian Burial will be celebrated at 10:30 a.m. on Friday, February 8. Both services will be held at St. Peter the Apostle Roman Catholic Church (1121 Northumberland Ave.) in Saskatoon. 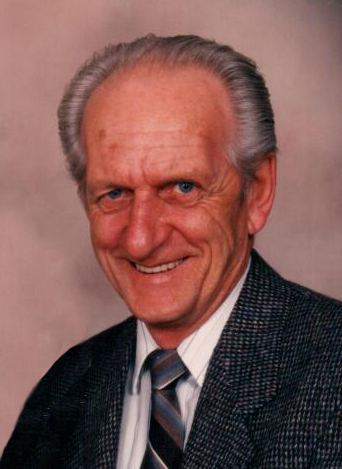 Arrangements in care of John Schachtel - Mourning Glory Funeral Services (306) 978-5200.